Last night I was creating a sample application to demonstrate how to add OData to an ASP.NET MVC application. 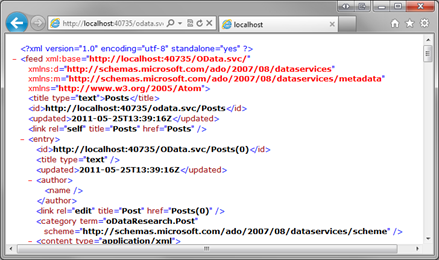 Every time I went to the URL in Internet Explorer (IE9) it kept showing the xml with the RSS style sheet. This is not what I want to see. I searched for a couple of hours on how to turn that off and nothing. 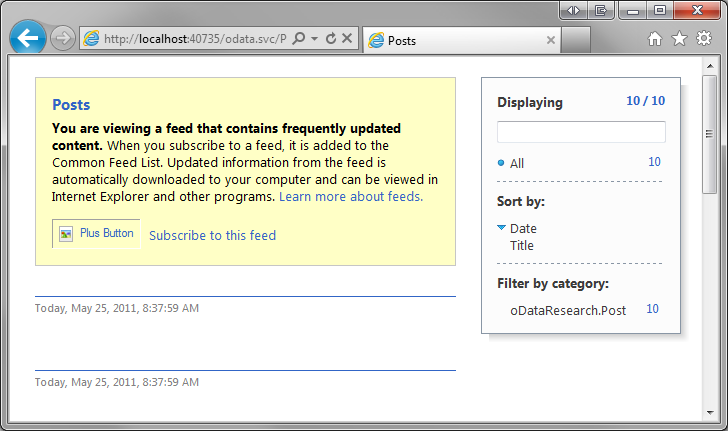 Finally, this morning I just started diving through the Internet Explorer settings and finally found it. 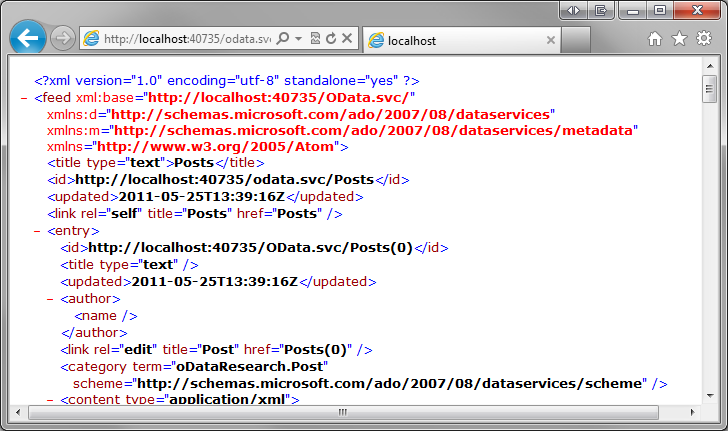 This makes it much easier to make sure I am getting what I expected in the xml return. I don’t use any browser for reading my RSS feeds and have always found it annoying that it kept trying to show me the xml in a format I didn’t want to see. Know I see the XML, gravy! I did finally figure out that if I started the solution in debug mode and when the browser launched I would to go Tools->Internet Options and clear the the browser history and then refresh the page it would pick up my changes. But, oh my gosh, what a pain to have to do that every time I wanted to test something. While looking for a sample about I watched the MSDN Webcast: Project 2010 JS Grid Extensibility: Project Web App (Part 1 of 3), there at the end was the answer I had been looking for. The solution use the Solutions Post-Build event to clear the cache before the browser launches, BRILIANT! Not only was the tip great but it gave the command to add as well. Presto, chango, it worked like a champ, all are cleared from the cache before the browser starts. I have had the issue since I add this. If you are interested in watching al three videos you can find them here on the Project Programmability and Business Intelligence blog. Recently at work a few of my teammates and myself were discussing Agile methodologies and started talking about the differences between having a process, versus not having a process. The point was brought up many times that teams at our organization claim to be using scrum or extreme programming but are really doing what I call “Cowboy Programming”, I am sure that there is a better term for it, but basically they are running down the halls holding the Agile banner but doing whatever they want. They do not have a process. They meet with limited success because the projects they are working on are very small in scope and they have a pretty high level of interaction with their customer. When our company tries to apply this same approach or lack of approach to larger projects it fails, and fails gloriously. So what is my point? Well, during this discussion I started to realize that having a process, even a flawed one is better than no process at all. If you don’t have a destination in mind and haven’t charted a path to get there how can you tell if you made it or not. The more important part of this to me is the how you are going to get there, not the path and not the destination. I know very Zen right? 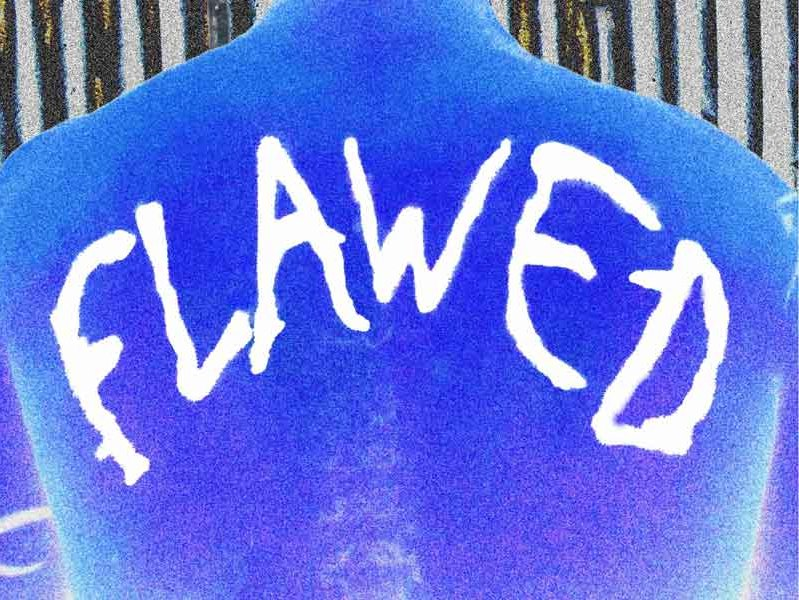 So what is the value of a flawed process? The value of a process is that you can compare you success or failure to it and see where you went wrong. If we didn’t have a yard stick how could you communicate if something was shorter or longer, or better yet, measured. The process is a set of expectations about behavior during an activity. Once the activity is complete you can see if your actions meet with your expectations. Therefore having a process, even a flawed one, will give you a basis for comparison and a way to measure inefficiencies that will lead to improvement. If you do nothing, you have nothing to measure. There is value in a flawed process. Back in May I posted “Stop Team Explorer from asking for login for CodePlex Projects”, and now that I have made the transition to Windows 7 at work (finally) I needed to figure this out again. 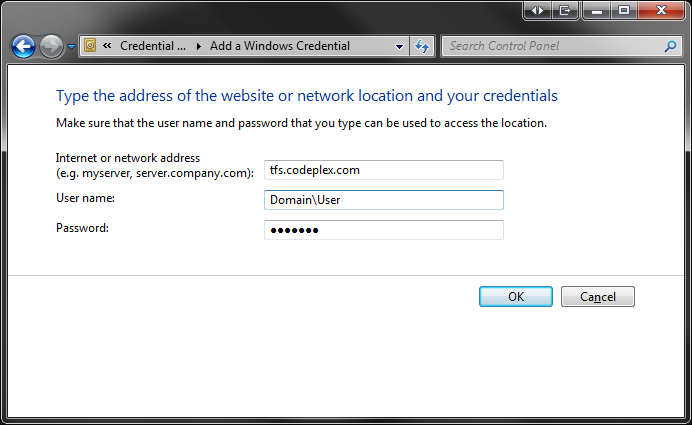 The problem is that every time I go to switch to the CodePlex TFS Server I have to enter my CodePlex login information. I , being the lazy person I am, don’t want to have to do that every time. Yes, it is probably more secure, but I feel if you have the ability to log on to my PC at work you probably already have enough access to really screw me. Anyway here are the steps for Storing User Credentials so you don’t get prompted all the time. Credential Manager allows you to store credentials, such as user names and passwords that you use to log on to websites or other computers on a network. 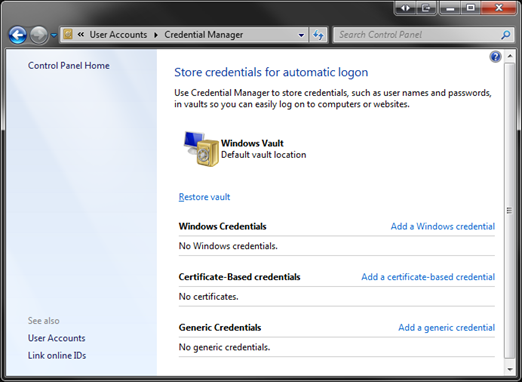 By storing your credentials, Windows can automatically log you on to websites or other computers. Credentials are saved in special folders on your computer called vaults. 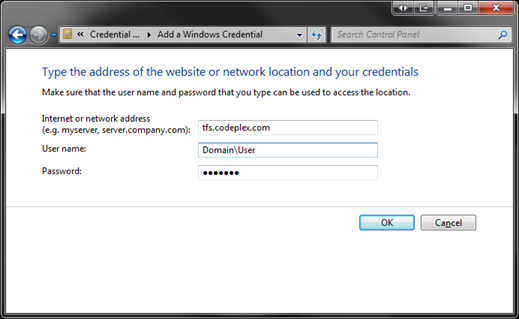 Windows and programs (such as web browsers) can securely give the credentials in the vaults to other computers and websites. Enter in the server, user and password information and click “OK”. So, there you go, the next time Team Explorer request access to the CodePlex server it will pass along the credentials you have stored instead of asking you for it every time.